This 3D scanning should be done on every important building in order to conserve them even after a tragedy like the one of the Cathedrale Notre-Dame de Paris. mcborge, Clamyboy74, elementalSG and 3 others like this. My gut tells me it wasn't an accident. The investigation will be interesting. It was under renovation and surrounded by scaffolding so it seems likely to be accidental. I imagine a piece of equipment or a careless worker was probably the cause. Quite usefull for the government in france trying to hide the wrath of the people. all those puppet acting shocked about the legacy of france while they re giving away AirFrance to private companies, what a bunch of hypocrite. Or possibly a thorough background check of a radical fundamentalist wasn't done correctly, and he or she was hired as a worker to take part in the "restoration". You could imagine or consider an attack on the Cathedral of Notre Dame, at least on a par with an attack on our World Trade Center towers, maybe worse. Were the fire premeditated, it's more symbolic than the twin towers, but without, (thankfully), the death toll. Capaill and Toju Mikie like this. Gosh, here in the US, we don't have a single government owned and operated airline. Are you suggesting we're doing it wrong? 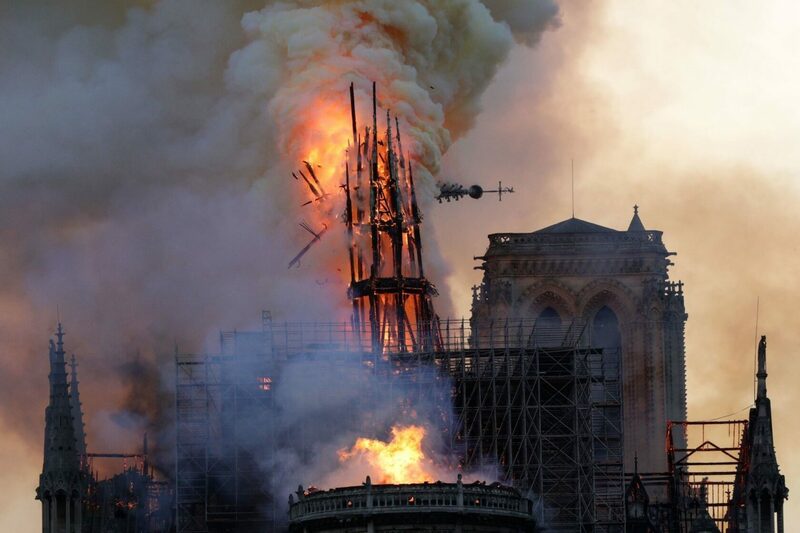 And the biggest irony is the France government will finally have the money to renovate Notre Dame properly, thanks to all the donations they'll be getting. And sometimes stuff just happens since we are all imperfect people. Of course if a person is careless, the odds increase. While it is possible that it was malicious - in which case we'll likely see similar fires at other historical buildings - I'm more inclined to believe that the renovators were storing strong chemicals incorrectly. I think it would take a lot for a fire to catch on a stone building. "By Cohen Coberly, Today 7:07 PM"
Where is TechSpot based? Because it's only after 3pm in Europe now and morning in the States. Yet the article writer discusses the spire collapsing "today". And the forum suggests TS is based in US Central: "April 16, 2019 8:17 AM"
Can TechSpot standardise the timestamps a bit? It just never ceases to amaze me on how ingenious the ideas are for uses of computers. 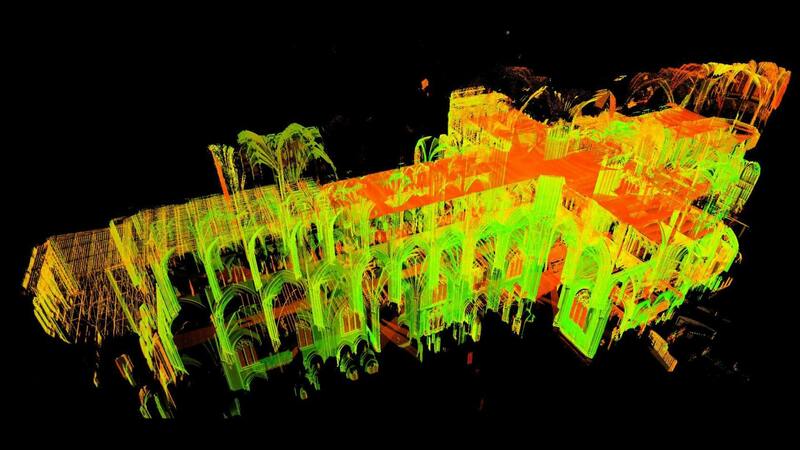 Scanning the entire Notre Dame to save a 3D digital rendering of it, absolutely brilliant! Just set everything to UTC and be done with it. Sad for the building and people who worship but really Paris is becoming a thing that only rich people can afford and I am sure the building around cost even more because of speculation. Keeping out even more so of the population that are not well off. At least in the positive that might slow down the speculation in the area in Paris. Apparemtly, a concern for the French in the restoration of Notre Dame, is the fact they no longer have the sufficiently tall, old, oak forests they would need from which cut the ceiling beams. Sentimental old fool that I am, I thought this ancient lament performed by Loreena McKennitt might be thought provoking. This is something I saw that was positive for what happened. Pretty cool. Go hiontach, go raibh maith agat.